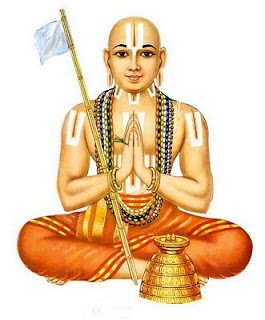 Special prayers would be organised at Sri Danvantri Arogya Peedam, Walajapet, on May 14, 2013, to celebrate Sri Ramanujar’s 120th birth anniversary, Peedam founder Kayilai Gnanaguru Dr Sri Muralidhara Swamigal has said. Sri Ramanujar was a great spiritual leader and social reformer. He had Tirukachi Nambi, who hailed from the scheduled castes. Sri Ramanujar ceaselessly toiled for a casteless society. The Peedam has organised a joint prayer session and worship before the deity of moolavar Sri Danvantri and the other 64 deities at the Peedam at 10 a.m. on May 14, Sri Muralidhara Swamigal said. Arrangements had also been made for annadhanam after the special prayer, he added. The special joint prayer would be for world peace and happiness.